Sometimes I feel a bit envious when I see many of my dog blogger friends displaying ribbons that their dogs won at their latest competition. Mostly I just feel happy for them, but there’s that little twinge…. When we first brought Luke home I had dreams of competing in agility with him. Then we found out he had bad knees; and running and jumping are not good for him. When I learned what a fantastic nose he had, I thought about competing in scent sports. His reactivity and intense fear of strangers was going to complicate even that, but it could be done, with a lot of work. Luke loves to trot through his agility tunnel at home. The true reality turned out to be that competing wasn’t going to be for us, not so much because of Luke’s issues, but because of my own shyness and introverted nature. While I might have a competitive streak, sports have never been for me. I like to be active, but I prefer non-competitive activities like walking, hiking, and gardening. In dog sports, I’d most likely turn out to be the weak link, not Luke. Add in the fact that competing costs money and would require travel for us (we’re in a very rural area and not a lot goes on here), and I doubt it will ever appeal enough. I’m happy staying home and working on the farm, and I also like to keep Luke’s life as stress free as possible. Taking Luke to the vet is, simply put, a nightmare. Therefore, I try to do everything I can to keep him healthy and I believe stress is one of the worst things for everyone’s health, human and animal. Those are my excuses reasons for not competing; on the other hand, being active and mentally challenged is good for us as well, and canine sports can enrich a dogs’ life in that way. Luckily, even though we will probably never compete, we can still enjoy dog sports right here at home. Luke gets to exercise his body and his nose on every walk we take in the woods. But there’s still so much more we can do. Learning about Fenzi Dog Sports Academy has been a great thing for us. Their online classes make it so that we can study and learn many dog activities from the comfort of our home, and on our own schedule. We’ve taken a reactive dog class, as well as beginning nose works. Luke really enjoys finding the hidden scents and stashing them around the house is a great rainy day activity. I think he’s more than ready to move up to the next level, and so am I. His nose is always in the “on” position! We usually basically “audit” a class (called “bronze level”), which means we can read the class work and do it at our own pace. For a little more money, you can submit videos for the instructor to critique and to help out the other students. When auditing, we can watch the videos and see the instructor’s comments as well. It works perfectly for us. You can do as little or as much as you’d like, and it’s a great place to start learning what you and your dog might enjoy. Both Luke and I get to learn new things in a way that works for us. If you’d enjoy competing, you get trained for that as well. If you’d like to know more about competing in scent and other sports, I’d suggest visiting our friends at MyGBGV Life, they participate in many different dog sports. They are very successful, and you can learn a lot more about how competition works. Our co-hosts in this hop, Travels with Barley, also compete successfully in scent sports and agility and share a lot about it. If, like us, competition is not your thing, then you can still have fun and enrich your dog’s life right at home. You can buy or build your own agility equipment* – we have a tunnel* just for fun and Luke enjoys that. Luke puts his nose to good work on walks – there are times he tries to drag me into the woods tracking something, or we spend five minutes standing in the same place while he’s sniffing at something. It may not be a sport in that case, but it’s something he loves doing! There are so many sports you can enjoy with your dog. I also just recently read on another friend’s blog, Sand Spring Chesapeakes, about lure coursing that you can do at home. Their dogs also hunt and compete in many different sports. Hunting and field trials, fly ball, barn hunt, dock diving….the list of possibilities goes on and on. Not all can be done at home (I wish we had our own pond and dock! ), but many can. Just google “dog sports” and you’ll find long lists of sports you can do with your dog, whether in competition or just for fun and enrichment at home. We believe an active dog is a happy dog, so get out and see what sport you and your dog might enjoy! 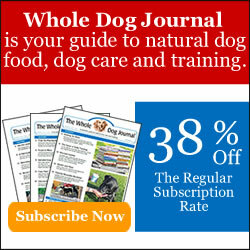 Do you and your dog(s) already participate in sports? Tell us about it in the comment section below! We are pleased to be co-hosting the Positive Pet Training blog hop with Tenacious Little Terrier and Travels with Barley. Pet bloggers, please join us in this hop by posting your positive pet training stories. The hop remains open through Sunday. Our theme this month is “Dog Sports”, however, you may share any positive pet training story, whether it’s on our theme or not! We do conformation and Therapy Dog work, but starting tomorrow, I am going to try Rally-O with one of my collies. It looks like fun, plus, you can talk to your dog to offer direction and praise. It’s nice that you have your daughter to help out, and that she must enjoy it too. You do a lot of great things with your dogs! There are so many fun options for different sports these days too, and doing therapy work must be so rewarding. Thank you for sharing the post! Competition is not my thing, too. I just teach my dog some simple tricks, and would love to spend more time with him in simple activities which is good for his health. And this way we can just enjoy our time with them – no stress involved! Great article. This is exactly what I think my pupers needs. He is in the training phases and I am afraid we are both a little frustrated. He is so active and I am trying to think of ways to keep him busy and happy. A tunnel is perfect. I could even make space for it in the house. I have read many blogs, books, and ebooks on training. Everyone seems to have a different spin on what to do. I especially like this book that was recommended https://bit.ly/2PiU7w4 so far it has helped, but I like this blog! It is so informative and has fresh ideas. I will be coming back for sure. Thank you so much, Jess! We try to share about things that work for us – sometimes we have to “think outside the box” with our dogs, especially when you have one that just doesn’t conform to the usual rules. 🙂 It’s nice to know when something I wrote is helpful, so I really appreciate your comment. I love how you still love your tunnel, so much fun there. Usually Luke loses interest in things…so I only get it out every so often, and so far that keeps him interested! I love that you can find this kinds of activities on the internet. What a life saver it can be for those whose dog’s would not do well in a formal setting, or where distance limits participation. I love Fenzi too!!! We’ve done nosework and reactive dog class, just like you. Shyla’s personality is not suited for competition… no matter what I try, she still remains very afraid of strangers… So, like you, we play at home! It’s fun!!!! Fenzi classes are great. I took one last year (ironically from a trainer who is 20 minutes away from me) and had fun, but for me, I just don’t have the same dedication to an online class as to an in person class. I did kind of get struck with the first paragraph of this post, because my newest post has eight ribbons and a HIT bracelet as the first photo. For me, the ribbons represent how far we have come in our training, and I don’t always share them. But for some things, like our first Rally trial this past weekend, I am just so darn proud of my dog that I have to brag. I think dog sports are fabulous, whether you compete or not. They are such a great outlet for mental activity with dogs, and competitions are just a way of gauging where you are in your training. I went into this past weekend with the plan that seeing where we are at a trial would show me where we need to put in work at home. And it did, we just happen to need less work than I thought going into it! I think whatever you choose to do – it will be because you and Luke enjoy it and that’s the most important reason to do anything. This school sounds like a fascinating place. That is true, thank you so much, Cathy! I agree with Emma about it not being so bad to compete as an introvert. Agility trials exhaust me from being around people and having to talk to people all the time, but in the moment, it’s not stressful at all because you’re just talking to people about your dog and their dogs and people are really supportive. Noseworks is a great environment for fearful dogs if you ever do decide to compete–since everyone in one level runs the same course, nobody can be in the room to watch you except for the timer, the judge, and the people who set up the boxes/scents and in all of the trials we’ve been at, they’re behind a gate and I keep Barley on leash so she doesn’t get distracted (although she would just want to get pets from them and see if she could mooch a snack! ), so there wouldn’t be as much interaction with other people. But one of my favorite quotes is from Suzanne Clothier: “Being realistic about what a dog can and cannot do is an act of love.” I keep having to repeat that to myself with agility–it breaks my heart that Barley can’t go to trials because she is so, so good (and wouldn’t give me any of the sass Rye is giving me lately! ), but I know that is not the right environment for her. Doing agility just for fun never bothered me until I started competing with Rye and now I’m jealous of myself because I want to have that experience with my Barley girl, too. So, I feel you! I feel like part of it is finding the right trials to enter. The UKC trial I just went to this past weekend was super small (classes had 1-5 dogs max, many with the same handler having multiple dogs in different classes, or the same dog entered in multiple classes). With two rally trials and an obedience trial, we were done before 3, even with a few breaks for lunch and such. It was such a small and friendly venue, it made a huge difference. I am used to flyball tournaments (which I love partly because you go with a team, so you have built in people that you are there with), so this trial was super calm to me, but it was great for our first one, and I plan to be back for their next one if I can. They can all be different though, right? I think if I ever decided to try it I’d want to scope it out ahead of time, without Luke, to be sure it would be right for him. They can all be slightly different, but for the most part, the rule books lay out how things are supposed to be set up pretty clearly so that no matter where you compete the experience is as similar as possible. For most things, I think you could definitely check things out in an earlier trial to get a good idea of what the set up would be like for future trials. I know people always talk about the importance of pushing yourself and your dogs out of your comfort zone, but I definitely agree with you that there are times when it’s perfectly ok to stay where you’re comfortable. Luke has a great life and he’s so happy at home with you that I don’t think he’s missing out on the competing aspect at all! I do think he’s very happy as he is, thank you! Oh Luke, keep having fun pal, you’re always a Champion to us! Aw, thank you, we love you, Brian!! If Bentley’s hound dog traits are anything like our beagle Kobi’s were, training might not have been too successful anyway! That will be fun if you try the lure hunting with Pierre! I bet he’d be good at that. It sounds like you have found a good balance between sport and fun for Luke. My biggest regret with Dakota was that I didn’t enroll him in agility when he was young. Shelties are NATURALS at agility and they often are the winners of MANY competitions. It is in their lineage (their herding background). My husband took him once and said he hated it, I wasn’t there, I should have taken him once on my own…..it is my biggest regret. That being said, we do have some poles and a tunnel like that and Dakota has used them at home….sadly since we are not in a house we don’t have a private yard to use them in as you do. I think it’s a great idea, especially for those that live in rural areas like we do and don’t have a lot of options for classes; or have reactive dogs that make going places difficult! Maybe the AKC has changed its rules over the years, but when we first adopted Ducky from the shelter, I was told that mixed breeds were ineligible for competition in their dog sports. Well, no matter…we can’t afford all that expense anyway. We were doing a little scent work with the girls before I went to Florida. I really need to get back to it. I enrolled Shadow in a Fenzi class for aging dogs which, from what I’ve seen so far, is like a super-low impact agility class. (We’re doing the Bronze level.) it might be good for Luke’s knees. It’s Course #CC410, Helping Dogs Thrive: Aging Dogs. But it’s good for all dogs with some physical issues, it sounds like, regardless of age. AKC now allows mixed breeds to register as long as they are spayed/neutered in their Canine Partners program. This lets you enter mixed breed dogs in a large variety of AKC events. UKC also allows mixed breeds to register for a Performance Number. ASCA allows non-Aussies to register and compete in obedience, agility, and rally. Flyball has always been open to all breeds. I think there are special groups that put on the nose works trials too, that are not affiliated with AKC anyway. I’m definitely going to look at that class, Sue, thank you! You know, my mom is shy and a real introvert but she loves the dog sports. It is kind of like BlogPaws was, getting together with people like you makes you open up and really have fun. We also know so many fearful dogs who compete in nose work and do so well. It is amazing when you find yourself among others just like you, it is a wonderful thing, and Luke would also start to build confidence. Taking actual classes would also help build his confidence, but where you live, the drive might be too far. As long as you both have fun, that is the main thing. Thank you for the mention. You’re very welcome. I know your Mom is right – I know I would be far more comfortable among like-minded people. It’s just so hard to talk myself into it though, it took a lot to talk myself into going to BlogPaws!